Providence, RI Truth Fliers: What Are They So Upset About? A steady, unchanging $160,000 per hour is coming in; these are not spontaneous individual donations. 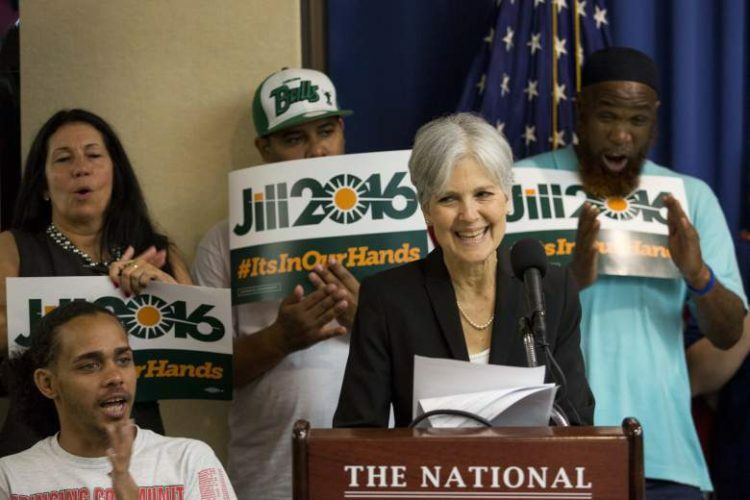 ACCORDING TO information from Jim Stone, donations to Jill Stein’s election recount campaign are being made at a steady rate of $160,000 on the hour every hour of the day. However, if real individuals are in fact making the actual donations the rate of the donations should drop over night when Internet traffic is low. 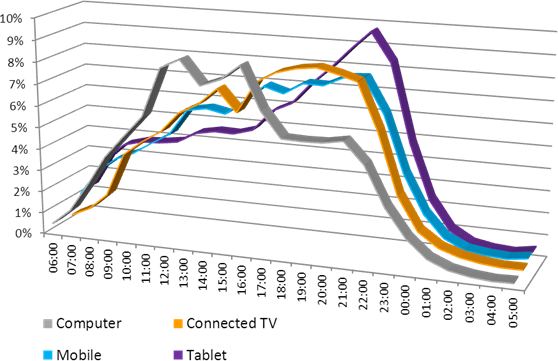 However, they do not follow the curve of typical Internet. 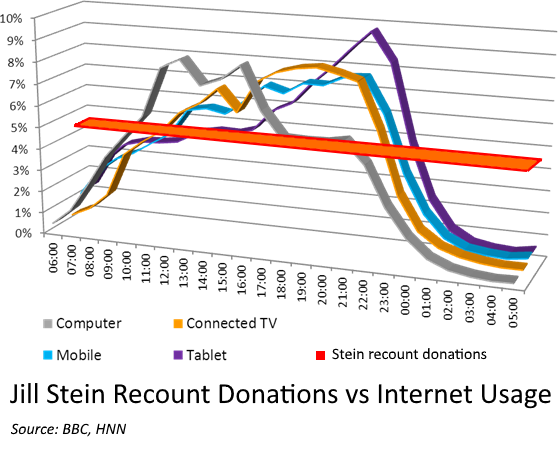 To illustrate, HNN has compiled this graph of Stein’s donations per hour superimposed on the BBC’s graph of Internet usage per hour by device. The graph illustrates Jill Stein’s recount donations in orange with a red outline which plots recount donations coming in at a constant rate of 4.16% per hour. It is impossible for Jill Stein’s recount campaign to be receiving the same amount of donations from real online users every hour on the hour when real Internet usage among devices varies widely hour to hour; specifically it peaks in the evening and becomes virtually non-existent between 1 am and 6 am in the morning. This clearly indicates the donations to the recount campaign are not from “grassroots Internet users” but instead are the result of a computer programmed bot which is working behind the scenes to fund the campaign. It is almost as perplexing that Jill Stein managed to raise in less than 24 hours more money than she has raised throughout her entire campaign but that is another story. 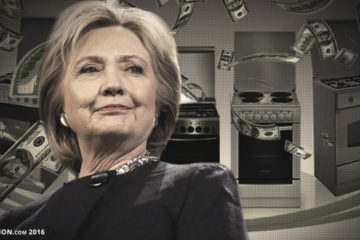 Namely, Hillary Clinton is having Jill dirty her hands to demand a recount so Hillary is not implicated in not accepting the results of the election. It is still uncertain there is even a prima facie case for Stein to even demand a recount given she failed to capture more than 2% of the vote in any state. 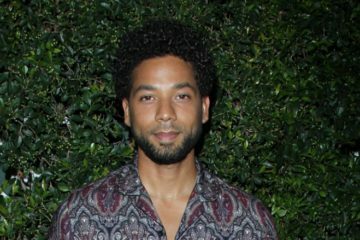 If Republicans stand their ground on this argument, Hillary will have to step out from behind her proxy and get her own hands hands dirty to force a recount to happen.